It’s been a while since we had any memoirs of cinema-going. This, as regulars may know, is a particular research topic of mine, particularly memoirs of those who were children in London before the First World War. The example below, however, comes from Salford. 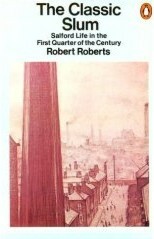 It comes from a renowned memoir of working class life, Robert Roberts’ The Classic Slum: Salford life in the first quarter of the century (1971). Roberts looks back to his childhood in Edwardian Salford, combining the personal with academic historical research in a uniquely powerful combination. As Roberts says, “few historians are the sons of labourers”, and his account of hard urban poverty hits you with eloquently-expressed authenticity. The section from The Classic Slum on the cinema is typically evocative and filled with telling observations. He identifies the joyous effect that the cinema had upon its early, working class audiences, but also how it was a boon for women as a legitimised form of entertainment that had none of the social stigma of the pub. He also makes useful observations about seat pricing policies, children reading out intertitles to help out the illiterate, and the genuine educative value of the cinema. Cinema in the early years of the century burst like a vision into the underman’s existence and, rapidly displacing both concert and theatre, became both his chief source of enjoyment and one of the greatest factors in his cultural development. For us in the village the world suddenly expanded. Many women who had lived in a kind of purdah since marriage (few respectable wives visited public houses) were to be noted now, escorted by their husbands, en route for the ‘pictures’, a strange sight indeed and one that led to much comment at the shop. Street corner gossip groups for a time grew thin and publicans complained angrily that the new fad was ruining trade: men were going to the films and merely calling in at the tavern for an hour before closing time. The disloyalty of it! Children begged, laboured and even thieved for the odd copper that would give them two hours of magic, crushed on a bench before the enchanting screen. Moralists were not long in condemning cinema as the tap-root of every kind of delinquency. Cinema owners protested virtue: one kept an eight-foot-long poster across his box office: ‘CLEAN AND MORAL PICTURES. Prices – 2d. and 4d.’ In our district the Primitive Methodist chapel, recently bankrupt and closed, blossomed almost overnight into the ‘Kinema’. 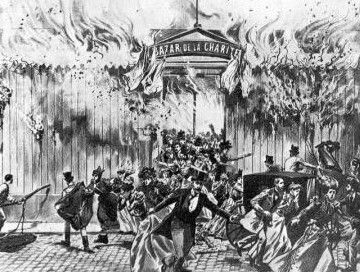 There during the first weeks would-be patrons of its twopenny seats literally fought each night for entrance and tales of crushed ribs and at least two broken limbs shocked the neighbourhood. In the beginning cinema managers, following the social custom of the theatre, made the error of grading seats, with the most expensive near the screen and the cheapest at the back of the house. For a short time the rabble lolled in comfort along the rear rows while their betters, paying three times as much, suffered cricked necks and eye strain in front. Caste and culture forbade mixing. A sudden change-over one evening, without warning, at all the local cinemas caused much bitterness and class recrimination. By 1913 our borough still retained its four theatres, but already thirteen premises had been licensed under the Cinematograph Act. Yet silent films for all their joys presented the unlettered with a problem unknown in theatres – the printed word. Often in the early days of cinema, captions broke into the picture with explanations long, sententious and stage-ridden. To bypass this difficulty the short-sighted and illiterate would take children along to act as readers. In this capacity I saw my own first film. When the picture gave place to print on the screen a muddled Greek chorus of children’s voices rose from the benches, piping above the piano music. To hear them crash in unison on a polysyllable became for literate elders an entertainment in itself. At the cinema many an ill-educated adult received cheap and regular instruction with his pleasure, and some eventually picked up enough to dispense with their tutors. Yet in spite of all the aids to culture and learning, unknown fifty years before – compulsory education, free libraries, the spate of cheap print, the miles of postered hoarding, and the cinema, the brightest lure of all – among the lower working class a mass of illiterates, solid and sizeable, still remained.